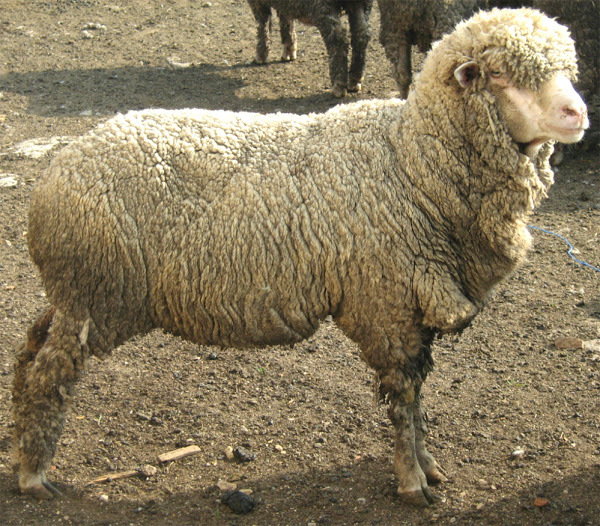 Askanian, also known as Askaniysky or Askanian Fine Fleece, sheep are from Ukraine. They were developed in the early 1900s at Askania Nova by crossing American Rambouillet with Merino sheep. There were over 1.6 million Askanian sheep in 1980. Today the breed is raised mainly for it’s fine quality wool. They are medium to large sized sheep. They are mainly white and are unicolored with a white face. Their face is generally free of wool. The ewes are either polled or horned, but the rams are generally horned. Average body height of the mature ewes is around 69 cm at the withers, and the rams are much larger than the ewes. The Average live body weight of the mature Askanian rams is around 115 kg. And the ewes are smaller than the rams. Their average live body weight is around 61 kg. They are strong and well adapted to their native climates. The ewes are good mothers, and they approximately produce around 1.27 lambs per litter.